Environmental groups across the West are hailing a U.S. Supreme Court action not to take up an appeal of a federal rule which prohibits development on National Forest Lands classified as roadless areas. This might signal the end of a long-standing battle over the future 50 million acres of roadless forest land, including about 6 million acres of National Forest Land in Montana. Conservation Director at the nonprofit Montana Wilderness Association John Gatchell was happy to hear about the Supreme Court’s decision to not take up the appeal of the roadless areas. Gatchell says this essentially upholds Forest Service status quo—where lower courts have said the agency has the discretion to block off areas to development in this way. This process started in the late 90’s when the Forest Service declared a moratorium on developing roads in these lands. A year or two of defining the rules around this distinction followed. The roadless declaration was signed into law by then Agriculture Secretary Dan Glickman in the final days of the Clinton Administration, January of 2001. The state of Wyoming and the Colorado Mining Association appealed, saying closing so much land to development harmed the timber and mining industries in those states. The Montana Mining Association filed a friend of the court brief in this appeal. “It certainly puts certain areas off limits for us, it makes them impossible to reach,” said MMA Executive Director, Tom Hopgood. Opponents to these lands say marking them off as roadless creates de-facto wilderness areas. They say Forest Service lands should be preserved for mixed-use. John Gatchell with the Montana Wilderness Association says yeah, roadless areas are part of the mix. He counters that roadless areas do have different rules than wilderness. Gatchell thinks some of these areas should be designated full wilderness. He says most are not that great for timber or mining development anyway. “In general, they’re very unproductive, they’re the highest, most remote areas that we have. that’s why they’re roadless,” Gatchell said. Julia Altemus works as Executive Vice President of the Montana Woodproducts Association. She wanted the Supreme Court to take up this case. Altemus says a lot of these 6 million acres are too remote for timber development. “Yes, there’s a lot of rocks and ice in those 6 million acres,” she said. But not everything. She points to one area in the Bitterroot that sits right up against the wildland-urban interface. “There are definitely timberlands in there that could have, should have been managed for timber production and timber harvest,” she said. Altemus agrees parts of the roadless lands should remain roadless, and some should be wilderness. But she says the boundaries could have been better drawn. “Because of the way it was handed down at the end of the Clinton Administration I don’t think we got a chance, i don’t think the public got a chance to really take a look at these maps and resolve it like we should have resolved it,” she said. There is one more challenge against the roadless areas awaiting federal court in D.C. This challenge comes from the state of Alaska. Yet, Altemus says this week’s action from the Supreme Court likely means the lands will stay as designated, unless Congress takes up the issue. The Continental Divide Trail runs 3100 miles—from Canada all the way to Mexico. Yet, there are gaps in that trail, where hikers either walk on roads or even across private property. And nowhere is there more gaps than the section crossing Montana—the trail is less than 60 percent complete. Every year, that percentage inches higher due to the work of volunteers. 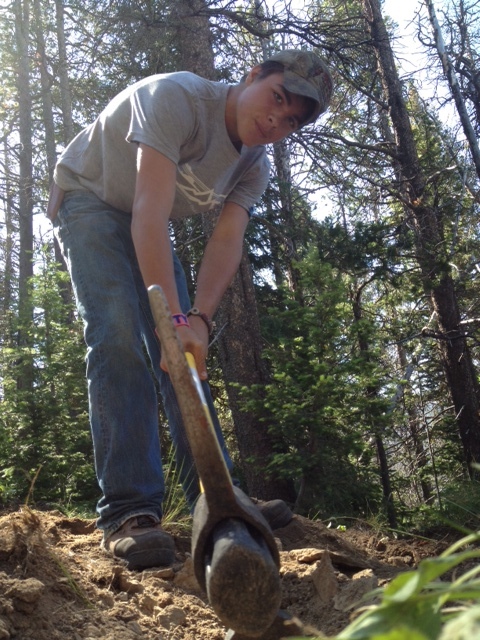 Capitol Reporter Dan Boyce takes us to Stemple Pass outside of Helena for this trail crew’s vacation of manual labor. 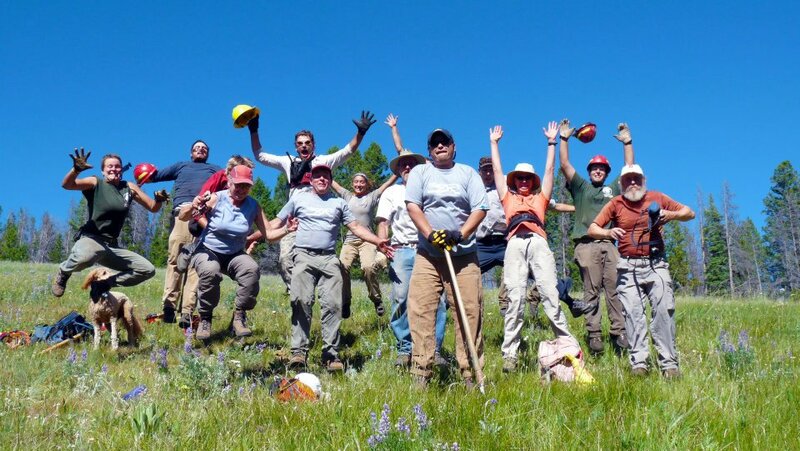 The Montana Wilderness Association is still seeking volunteers for trail projects later in the Summer. CLICK HERE FOR MORE INFORMATION. Sally Mauk talks with John Gatchall about volunteers building the Continental Divide trail..